Working at Harrod has been very different to what I'm used to, but I'm really enjoying finding out more about the company, as before I didn't really know what to expect. Every single member of the team has been welcoming and made me feel comfortable during my time at work. Every day has been productive; it has been interesting learning about all of the different aspects of the Horticultural and Sports sides of the company. I believe that my time at Harrod will benefit my future decisions, as well as helping me to discover what jobs I might like to apply for after education. At the moment, I am not completely sure what I would like to do in the upcoming years, however my experience is making me consider getting involved with journalism and marketing. Here is a brief summary of everything I have took part in so far during my work experience, which will hopefully inform you more about what Harrod is all about. 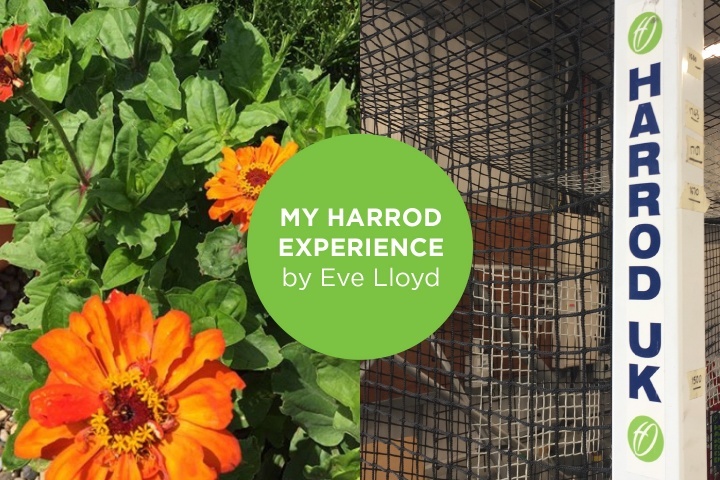 On my first day, I was taken around the whole of the site, meeting the team and getting an impression of what I was going to be doing during my eight days at Harrod Sports & Horticultural. For the first two days, I focused more on the Horticultural side of the company, developing an understanding of how the Horticultural side deal with gardening, whereas the Sports side looks at sports equipment for sports which mainly involve a net, such as football, rugby, hockey etc. Throughout those two days, I worked with the Marketing Team and the Mail Order Team, taking photos for their social media pages and thinking of ways how the company can improve their catalogues, as well as helping the Customer Services Team to reply to emails and note down other involved companies' details. On day three, I worked with the Sports Marketing Team. I have learned about how they deal with orders and that they are suppliers for events such as the Women's Hockey World Cup, which is currently ongoing. Also, I have been able to write this post with them, which has been my favourite part of my work experience so far because I would love to be able to write my own posts in the future, as I've always really enjoyed English at school. Overall, I feel that my time at Harrod so far has been an unforgettable experience thanks to everyone there, and I'm very excited to see where this experience will take me in my future.